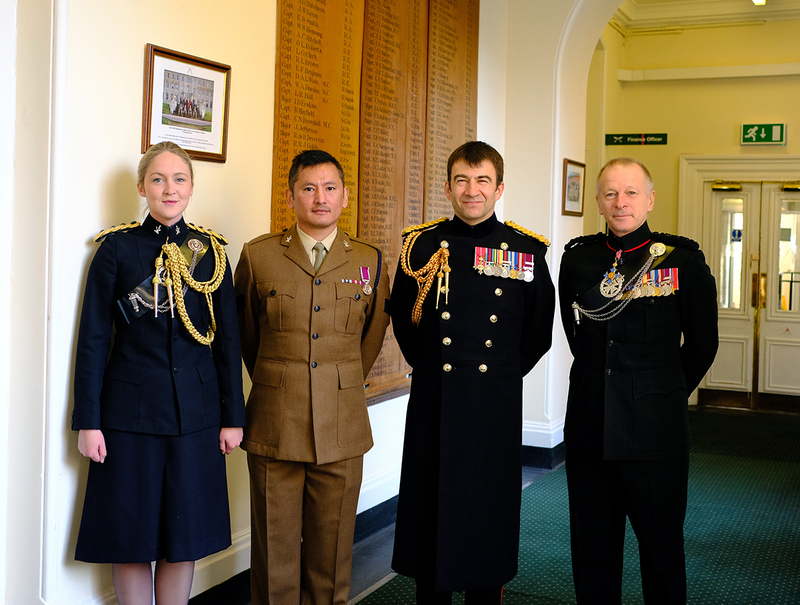 Corporal Puspa Gurung Queen’s Gurkha Signals was presented his Long Service and Good Conduct Medal at the Headquarters Brigade of Gurkhas by Major General JJ Cole OBE, Commander Queen’s Gurkha Signals. Born in the western part of Nepal, Corporal Puspa enlisted into the Brigade of Gurkhas in 24th December 2003. On completion of basic trade training as an Area Systems Operator, he was posted to 2 Signal Regiment in 2005. Till date, he has served with 18, 22 and 30 Signal Regiments, Nepal Signal Troop and is currently serving at Headquarters Brigade of Gurkhas as a Media NCO. During his career, he has deployed on Operation HERRICK 7, Operation KIRKDALE, Operation ELLAMY and various exercises in Kenya, Cyprus, Nepal and UK providing CIS services, Command Tac CIS and Close Support Security. In 2015, he was serving at Nepal Signal Troop when Nepal faced a catastrophic natural disaster. He was the focal point to an immediate Primary Communication back to UK and setting up Ops Room with BGAN voice and data services, providing CIS support to the staff officers and working with the British Embassy for the evacuation and safety of all soldiers, families, British citizens and LECs. He was also deployed with the British Embassy Rapid Response Team to Nuwakot Army Base Camp providing Communication Support and distribution of aid and assistance to the earthquake victims. 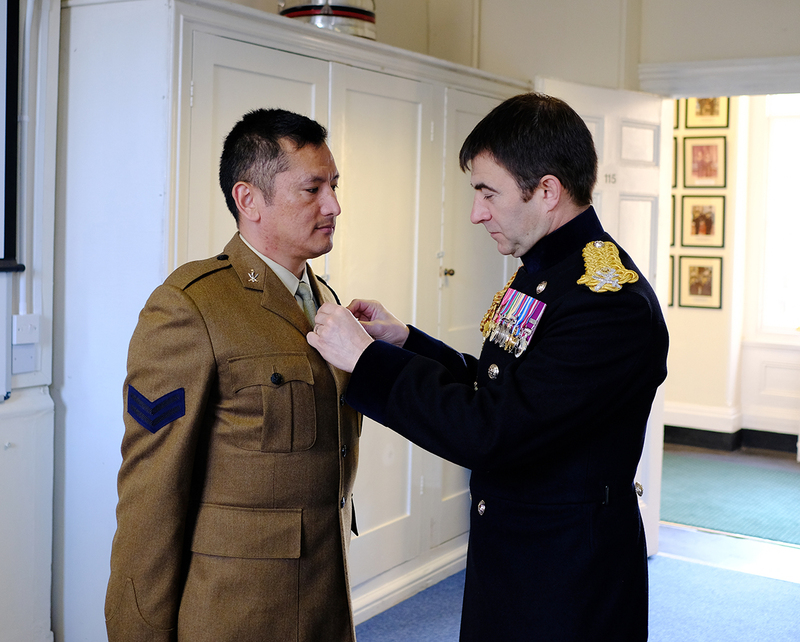 For 15 years of loyal and unblemished service, Corporal Puspa Gurung is awarded the Long Service and Good Conduct medal.